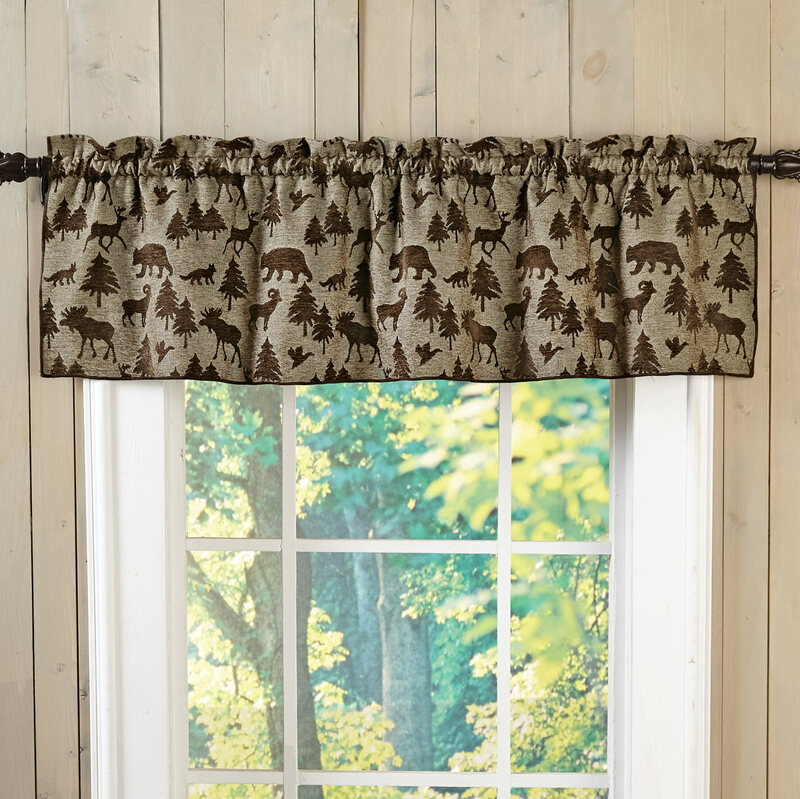 A Black Forest Décor Exclusive - This polyester valance transforms your windows into an outdoor escape with lodge geometrics and wildlife. Dry clean. Handmade in the USA of imported materials. Pattern placement may vary. 53"W x 14"H with a 1 1/2" rod pocket..